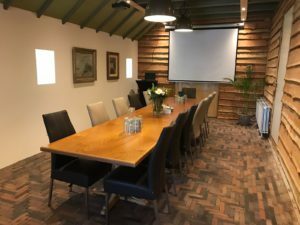 Meeting room - Bed and Breakfast - Hotel "Hoeve De Vredenhof"
We offer companies and institutions the possibility to have a meeting on a beautiful location. The wonderful meeting room seats a maximum of 20 people and is equipped with all facilities needed. 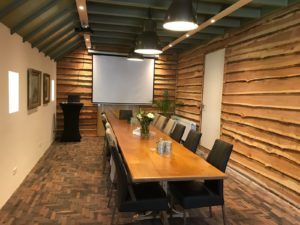 If you wish to use this room (for a minimum of 8 people and a maximum of 20 people) you can make a reservation by calling us on +31 (0)50-5351077 or use the contact form.